Improve your customer engagement with social video. Today, Matt Johnson joins Lief Thomason for this week’s SMS Grow Live! They are back to dish on social video, what it is and why you need it in your next marketing plan. If you’ve ever wanted an inside look into the mind of a digital producer, now’s your opportunity! Are you equipped to keep up with the changing needs of the buyer? Keep tuning in to catch even more helpful advice on successful marketing strategies for the industrial distributor. Are you ready to grow? 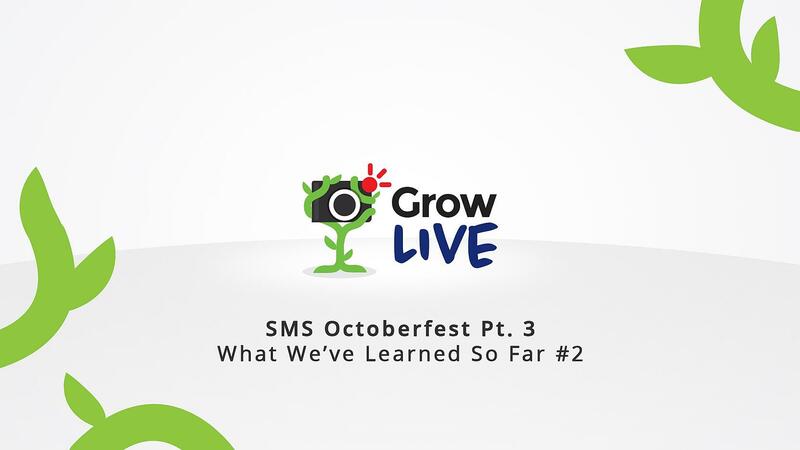 Welcome, guys, to SMS Grow Live. I'm so happy to have you here. Today's a little bit different show; our friend and cohost Renia's not gonna be with us today, so you're stuck with me. I hope that's gonna be okay. I'm your host Matt Johnson, and special friend and fellow marketing ninja Lief Thomason is here with me as well. Welcome, Lief. Glad to have him here as well. For those of you who don't know, Lief is our digital producer here at SMS. This is kind of a special show where we stop, and we've done this once already. If you go back to some of our early shows, we explain kind of what our vision of this show was to be, and a big part of that vision is to be transparent and let you guys in on the behind the scenes in what we're doing here with our live show. So, we want to stop periodically, assess kind of where we're at, how is this whole thing working out -- this experiment called "Grow Live" and the podcast and the YouTube channel. Yeah, it just goes on and on, so there's a lot of things that we've been doing here, and we've been doing it for now 12 weeks. That's right. So, this is episode 12. So, with that, I thought it would be a good time to stop and then bring Lief in and talk about what's been working and what's not and kind of catch you guys up to speed. So, Lief, how's it been, man? I mean, what do you think about this journey that we've been on called "Grow Live"? It's been 12 weeks now, and I'd love to hear your perspective on it. 12 weeks boggles my mind when I think about it. We were talking about the start of the show earlier today in a meeting, and to think back to 12 episodes ago and how I felt panicked getting ready for this because this was such an unknown journey for us. I'm so used to having everything planned out, ready. I know what I'm shooting, how I'm shooting it, the equipment I need to use, and this was just such a uncharted water, and yet here we are. Today, now, it just feels like we're on autopilot. Brandon and I are setting up and both of us, like, brains are almost shut off -- just going through, pulling what we know we need, getting it set up. Then we kind of stop at the end of it and look around and go, "Oh, it's all here. Okay, we're done." That is awesome. You guys have done a great job of incorporating this into sort of this weekly rhythm that we have, and we mentioned it before but just for the sake of our audience today, maybe they haven't seen our other episode where we kind of walk through that, but can you kind of walk us through what the weekly schedule looks like for the show? Yeah. So, go back to episode 6, by the way, if you haven't seen it yet. That's where I was on last time, and we did a similar conversation about this. Basic setup -- so, there's an email that goes out early in the week. There's a schedule that gets made; those are all behind the scenes separate from what I do. On Wednesday begins all the production. So, on Wednesday we come in, Brandon and I ... We come in, we set everything up. We've got all kinds of cameras, and lights, and recording equipment that we need in order to get all the content that we want produced and out the door. We pack it all up, bring the media back, offload the media and then it goes into the edit process. We produce a podcast and an HD version of the show that's a three camera setup out of this, so it's a fully functioning TV show basically. We send off the audio for a transcript in order to put into the blog, and all kinds of social that goes out to support this content as well in order to build audience out of it. Our social media manager is formatting the description of the show and making sure that the podcast ... or, excuse me, the blog is formatted correctly and is published every week. So, every week ... I think it's by Friday, but sometimes we've trickled into Monday or Tuesday. It happens occasionally. It happens occasionally. But for the most part, the blog that we post ... if you go to our blog you'll be able to see under the resources section, you'll see that we have these blog posts up that are pretty epic. I mean, it's the entire transcript of the episode, along with the YouTube ... video is actually embedded in the blog post, along with the link to the podcast. So, like we said, a big part of why we did it this way was because we wanted to maximize the reach of our content in the most efficient way possible, and so spending this hour of production we're able to get the blog, the podcast, and the video show, as well as the live show on social out every week. We do that around five or six production hours, right? And when you think about it, too, and get kind of outside of the marketing speak to it, something that's really helpful to realize is when you're producing all this content because I know some people can feel like, "Oh, that's overkill," well you're actually providing services to people where they're at at whatever levels, so some people may have impairments where they can't listen to or see something, so they have an opportunity to consume it in a different way. I mean, it's really providing an added service to whoever's out there, and this is an educational piece, so you want to give everybody an equal opportunity to the tools possible. It's not just maximized output for us, it's really in service of who we're trying to reach, the audience. Right. It's about interacting with all sorts of different people, and reaching them where they're at, right? So, some people think that you're just doing the podcast and the video and the blog all because you're trying to create as much content as possible. Well, more isn't always better, okay? So, first of all, I would just say that it's not necessarily the case that just because we're creating more content that it's gonna be more successful. I think the key here is, at least in the beginning, we're experimenting with our personas, and we're trying to understand how our primary personas engage in our content and how to interact with them best, right? So, maybe we could speak to that a little bit in terms of different personality types or different people and why they like different types of media, right? So, that's why we created the audio and the video and ... You want to maybe speak to that a little bit in terms of what your favorite media is and maybe what you think people are consuming out there? Yeah. So, it's not just about impairments like I said, it is about preferences as well. I know, for me, depending on ... I mean, it can depend on the scenario. Sometimes I prefer to watch something, sometimes I prefer to read something. I'm a big consumer of podcasts myself, so if I'm on a long drive I can't watch a video, or I can't stream all of that data off of a video. I could use the podcast, and it could be really entertaining. So, I'm a pretty heavy consumer and maybe that's why I'm so interested in producing in the first place. So, I have all kinds of outlets that I do, but podcasts and video tend to be some of my favorites I think. I would agree with you. For me, my preferred media right now is podcasting, and we're not alone in that. There is a huge increase in not just the amount of podcasts that are being published today, but the increase of listenership has been pretty impressive. There's lots of numbers out there. I'm not a numbers guy. I can always have our team link to numbers in notes, but there's so much information right now being published in the audible format. Why do you think it is that Millennials in particular ... and even the Gen X group of folks, why is it that they prefer the audio format you think? I think it's niche. It's something about our generation, the Millennials, that I think is really important to understand is that we're always experimenting with formats. That's constantly happening. By the time the heads of marketing in the world tell you that people are consuming something, there's a good group that's probably already moving onto the next thing. You need to be on Snapchat, and then they'll say, "Oh, you know, actually we found out Millennials and then younger generations are already moving off of Snapchat now." And until we ruin it, until the marketers come in and ruin it with a bunch of ads ... So, yeah, that's kind of what's happening with the podcasting right now, right? I think so. Podcasts have been a pretty popular format for a little while now, and part of it for me I can speak into is that it hearkens back to this ... think FDR fireside chats, the classic listening to Superman on the radio. There's just this inspiration of imagination that happens. I used to listen to a show called "Adventures in Odyssey" all the time when I was little. I loved listening to these tapes, right? You'd go to Chick-fil-A, they get you a little cassette. Oh, my gosh. I'd go to bed to these ... when I was little, I'd go to bed to these. That's what the podcast has always done for me, it's this opportunity to invite imagination where everywhere else we've maybe stripped away that, right? Everything is, so we give it to you. All the information is there. We give you exactly what you are looking for ... that podcast is maybe a little bit of escapism, but you can't ignore the fact that it's easy to consume when we're on the road a lot. You don't have to be watching something, you can be listening to something. Even while you're working, you can be listening to something. I can go for a run, I can go mow the yard, do yard work. I can be sometimes even sitting in the office if I'm doing something that I can split my brain on it, you can be consuming and producing at the same time, so it's convenient. I think that's why you're seeing more people move to it now is the convenience of it. Originally it was always this niche, fun, good storytelling method, but now you're seeing a lot more that's moving away from the storytelling and strictly informational. That last point you made is kind of where I was gonna go was ... I feel like there's something innate in Millennials in particular that they, unlike any other generation before them, are experts at multitasking. They ... and I say "they", I mean, I technically should be including myself I suppose, but that's debatable whether I am or not. But it's this idea that they can be doing multiple things at a time, and so I feel like they're just always connected, and what's happening is they're using podcasts on their way to work; they're using podcasts, like you said, mowing the lawn, washing the dishes -- the things, the margin places of our life that used to be quite and unproductive, so to speak, are now being filled with information. I feel like this is a natural side effect of living in this information; age where content is so readily available, so it's like, "Well, I could be just washing the dishes, but I could be washing the dishes and learning about digital marketing at the same time, or whatever the thing is that I'm interested in." Yeah, so there's lots of different formats, but at the same time there's other style, there's other generational preferences out there as well. I feel like video is also still very important for some of the older generations, and video, in fact, on social media is becoming such a big, big role. I just had this ... this was a new realization, but about a couple months ago I was flipping through my Facebook feed and it dawned on me 'cause this was when they first implemented the auto audio play, right? So, Facebook now has this thing where the audio will play on videos when you scroll through them, and I turned it on and I scrolled through my feed, and I'm just like, "Video. Video. Video. Video. Video." It was nothing but video content on my social channel, so what is that doing to the way that we engage with social media? How is that changing these channels for us? That's a really good question. Well, I mean, you see it in a number of ways -- already Facebook is trying to get into this video share that YouTube essentially dominates. This is something, by the way, I just learned about -- Facebook Watch, right? And they're basically staking a claim that they can take over YouTube based on some shortcomings that YouTube has had recently, so whether or not that's gonna happen we'll see. It's certainly an experiment for them, and they'd at least drawn the line in the sand to say, "YouTube's not welcome here." They have. We were just talking about that, how when you're linking to YouTube videos ... if they wanted to play nice with YouTube, the YouTube videos would be imbedded, or they would play straight from Facebook, but they don't. You have to link ... You click on a YouTube video within Facebook it takes you to YouTube. That makes sense now, right? Because Facebook now has launched Facebook Watch, which some of our friends have recently gotten back from INBOUND in Boston with the HubSpot gang there and this was the talk of the town ... basically was that Facebook Watch is what YouTube was seven, eight years ago. So, you need to start ... if you're gonna start developing your digital presence and start building your brand on Facebook, you should start with Facebook Watch because the marketing heads are saying, "This is the new YouTube." If you want to put videos out on Facebook then, yeah, you certainly need to be there. It's easy enough, I think, to cross platform the two at the moment where you can produce the same content on both, but if it does go the way that ... I mean, Facebook has said essentially, "You're hosting your videos here. That's how it is." So, if you're a marketer putting into the ad space on Facebook, you need to host your videos there, which means that you need to start getting in on the audience development there. I have my doubts that the common YouTuber is gonna migrate to Facebook for that, for that level of searchability and ... I mean, YouTube is essentially Google for video, which it's Google, so they have intended to do that. You have a search, you have something you're trying to do, something you want to know about just the common things. "My lawnmower's not working. This piece is broken. What might it be? This is the lawnmower part number, et cetera," put it in YouTube. Somebody's on there working on that piece, showing you the part you need, and how to install it. But clearly Facebook is heading in this direction of the "universal app". It's this idea that you can do almost anything from within the Facebook universe. They have the whole buying and selling thing, so I don't need to have Facebook plus Craigslist. I just need Facebook. I can go buy, I can shop and list products on Facebook. Now, with ... Then there's the groups aspect of Facebook, so I don't have to have Facebook plus my forum. It's just Facebook, and now Facebook Watch, so I don't need to jump to YouTube to search to find the answers that I'm looking for. I can go to YouTube Watch. So, it's uncharted territory for a social platform to become what Facebook is becoming, so I wouldn't put it past them that they could end up putting something like a YouTube out of business. I think we were talking about it earlier, too, the idea of the YouTube Red and the ads that have been ... A lot of people are leaving Facebook because the ads are a little too much at times, and I said, "Well, Facebook doesn't have ads," but then you corrected me and said, "Well, think again, they do have ads," and not just ads within your feed, but you're saying there's ads in the video as well. In the middle of it, yeah. They'll pause it in the middle of it. It's annoying to me. Actually, I scroll past it because as a marketer you realize that the way they determine if something like that's profitable is by seeing the views on it. So, if they see people leaving, by the time ads come up my thought is I can be a part of the contribution of the numbers that say, "We don't want ads on it." I'm gonna hack the system. It's interesting because that is the thing that we as marketers ... we're interested in using these platforms because ultimately help our clients sell their brand and build brand awareness and that sort of thing, so that's interesting that at the same time we recognize as consumers, don't we, that the experience diminishes when we have so many of those ads. Are these ads that are in the Facebook videos, are they created and imbedded through the Facebook ads? Or do you think that the producers are adding these ads into the video? I think they're sponsored ads, so where I've seen them come up is on some of the bigger producers on Facebook, like the Tasty, and Buzzfeeds, and Daily Mails, and ones like these. So, my assumption is ... and I don't know if I can confirm this, somebody else might be able to, is that those ads are actually paid ads through their producers that they sponsor with a company to put these ads on it. YouTube does the same thing. YouTube isn't only ... actually this has been a big argument lately within the YouTube community. YouTube isn't just the organic ads that YouTube adds for you. That's a part of this algorithm that spits out ads on your videos when you agree to do that. YouTube also has this ability where you can bring in your own paid for ... like if Disney, ABC decides they want to partner with this other company and put an ad on their YouTube video, they can do that. So, that's not unique. So, and all of this is getting to the realization of social video consumption becoming the new television. And it's really confirming what everybody was predicting a couple years ago now about the attention of today's consumer is inside Facebook, inside YouTube. It's no longer watching ABC or the Friday night ... Remember when we were growing up we had "TGI Fridays"? TGIF. Yeah, and the shows that were on there, of course all of the ads that would run in between the breaks on the shows. This Facebook now is becoming that, am I right? Yeah. Mm-hmm (affirmative) -- like bite-sized episodes of content. I wanted to say that earlier, that even though we were talking about podcasting being this kind of up and coming it's nowhere near the numbers, even still presently, that video is. We're still talking about video for a good reason. 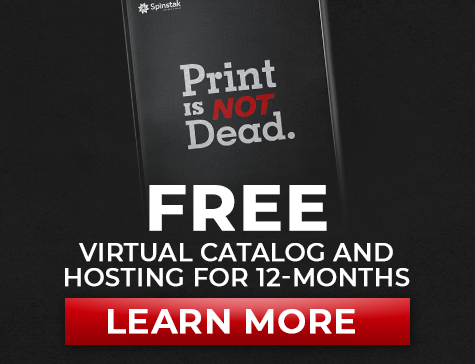 It is the top consumed and the best converting content that you can put out there. That doesn't mean that if you put a video out it's guaranteed to do that; there are still some basic principles that you need to follow in order to, what I've said over and over, rise above the noise 'cause the more stuff you have there the less likely people are to watch it, right? I mean, we saw this with emails; we saw this with infographs, and blogs; telephone marketers have seen this that there are issues when you flood spaces. But it's certainly a category that if you're not doing you're missing. I think it's exciting because if you're out there and you're a marketing manager and you're saying to yourself, "Oh, my god. Video is everywhere. We've got to start doing video," but you're also thinking, "Well, it's already so saturated. Nobody's gonna notice our video." I would actually say think again. This is actually a perfect opportunity for you to rise above all of the other videos that are out there. Look at your competitor's videos and ask yourself, "Well, that's great. They did a video, but I feel like I could do that ten times better." I think that's gonna be important for at least our industry is "A" -- start doing videos, but take this as an opportunity to position yourself as something bigger and better than your competition. And don't just "one and done" it either. I see that frustration over and over again in companies, not with anyone we've worked with in SMS, but outside of the work that I've done. You see them all the time; there's this frustration of they spend all this money on one video and they just kind of put all their eggs in one basket and they have no audience. They just kind of expect that ... like a Nike. It's just gonna garner all this attention as a result of it. Well, that's not the point of maybe the video that you've made, for instance, and I think that's really important to know. We were talking about this just yesterday, right? We were looking at two different things -- really high quality videos that we've produced for a client, and then videos that they did with their iPhone in their kitchen, right? And the iPhone in the kitchen had more views, right? Now, the intention of these is to get highly consumable videos in front of an audience versus what we produced was a premium content. It's determined to have less views because it's just not that style of a video. You have to understand what you're producing, why you're producing it, where it goes. I mean, that's the point of talking about, I think, the social aspect of this in the first place, and that's why we split this up into so many different pieces of content is because not all content is created equal; not all preforms the same on every space that you put it in. That kind of brings me to a point that I kind of wanted to talk about a little bit with you and that is this idea of using video, or using really any kind of digital media to ... if I'm a manufacturer or a supplier in our industry to use the digital media to do influencer marketing, which is such an important ... because of the saturation of sponsored content. Sponsored content is ... We're living in the world of sponsored content right now I feel like. There's entire blogs and there's entire ... I mean, everybody's got a blog and everybody is selling something. I feel like where we could really make a difference is by taking your products and getting them in the hands of your customers, and having them give genuine reviews and genuine recommendations for your product line. So, we just recently ... We're talking to a company that was doing this very thing on Instagram actually, so they chose Instagram as the platform of choice. What they did was they looked at their best customers and kind of said, "Okay, who are our evangelists? Who are our customers who we know that if we went to them and asked them to do something they would do it." They identified a whole bunch -- maybe there was a hundred of these evangelists, these customers that love their product and love the brand. Then they basically put together this communication, sort of like a PR style package where they would phone them, send them an email, send them information about the product, send the product to them, like the actual product, like send it to them, and then they specifically asked them, "If you're on Instagram, would you please take a picture of this product, tag us in it, and let us know what you think about it?" They started doing that and it just blew up. Their Instagram has like 24,000 followers right now because they got the word out about their products and they didn't do it themselves. They did it through the people that were already delighted in their brand, so that's, I think, a huge opportunity for marketing managers out there. This is not something that is highly produced like this show ... It's a beautiful production and everything, but, I mean, that was just a little bit of grit. That was just a matter of getting the product out with a communication strategy, and asking them to take an action. What do you think about that? In terms of our customers, couldn't you see that ... We're just brainstorming here at this point, but couldn't you see that for the distributor partners that we work with? If a manufacturer went out and sent them a product and said, "Hey, take a look at this product. It's a new product that we just launched. If you'd be willing to get on a video and tell us what you think about this and the post it to social." If I'm a manufacturer and I have hundreds of distributors, if I can get just 50 of those to start doing that the product exposure and the brand awareness that I can get from that is unbelievable, and probably way better than I could do myself. We don't have any celebrities in our industry. No. But you have the opportunity to become that influencer because you're starting to put content in a space that has no content. I can't tell you the number of times I go to YouTube or Google and can't find information on the products that we've been sent to do videos of or to do content for. We are the first to produce the content. Yeah. There is a gaping hole and a huge need for manufacturer product videos. It's super simple, too. I mean, you can dress it up a hundred different ways to make it look better, but for now just get it out there then start ... that's the audience building, then start producing something that looks a little bit nicer if that's the roadblock. If it's, "Oh, I don't have the budget to produce a hundred videos in a year," well you spend however much you do on your phone already, just use that. Right. I love the idea ... If I'm a manufacturer and I know I'm not gonna have a setup like this, like I'm just not. I'm probably not going to sit down and hire an agency to create a product video every month or whatever. I think this idea of building an influencer marketing strategy by using your distributor network is something that honestly I should be charging you guys for that idea, but it's a freebie inside this episode. But I feel like that is the direction that you should be heading in if you're a manufacturer, and of course working with an agency that can set up your social channels and put together that communication campaign, or if you do it yourself that's great, but that's something that we're gonna be working on as well. I think it's a big area of an opportunity for our industry. Yeah. You just have to be consistent. You have to find the way to do it consistently. Right. That's kind of what we've done here, right? And then kind of wrapping back into the "why" of what we're doing and the behind the scenes is that we just said, "We're gonna commit to this live show, and it's not going to be the best produced show in the whole world, but we're gonna stumble and we're gonna make some mistakes, but you can count on us doing this." That's paid dividends outside of just the digital experience as well. One of the things that I had on my list to talk about today was how our efforts here with the show and all the things that we're doing on social media right now have had paid dividends offline as well. One of the things that I can think about, and you'll find this gratifying since you produce the show, but one of the things I can think about is that when I went to NSC and I met with a bunch of both clients and prospective clients I had mentioned the show and here I am thinking, "Well, you know, we have a few hundred views -- usually like 500, 600 views on our live show -- but hardly anybody ever comments and nobody ever comments on the blog," and I started thinking, "Well, we don't have much engagement. There's not a whole lot of ... nobody really knows about it." I joke around with our staff, they say, "I'll be watching the show," and I go, "Great. You and my mom will be watching. Thanks for watching the show," but you know what I found out? A lot of people are watching the show. A lot of people are watching the show, and they appreciated that the content was for them, it was relevant to them. They said they liked the show, and then what I did was for anybody who did not know about the show, I made it a point to say, "Guess what? We created a show just for you, and it's on Wednesdays at 12 o'clock. It's called Grow Live. I'd love for you to go check it out." So, the fact that we have some consistent that we can offer as a resource that's not ... it's not based around selling something. Maybe one day we'll have ads in our show, but there's no ads in this show, right? I feel like that is the kind of content that connects with people, and it's making an impact on our business. We're looking at the metrics of the response to the show in terms of how many views and how many conversions and everything that we have. The show has already paid for itself in terms of ROI three-fold, so all of the hours that you guys spend in this it's all worth it because it really does work. Wow. That's a really important note there, too, and I know we stress it all the time on this show. We've had sales versus marketing discussions. All of these efforts are tools for the sales team. If you're not out there repping it at the shows and talking about it with people and giving us feedback on what works and what's helpful and useful ... If you were to take an hour long show that we've produced and go bring it to the NSC, you're not going to be able to get anybody to watch it, but the moment you tell us, "You know what's more useful? Can I get a three minute segment from that? This is the topic that people are asking about all the time," and then I can hand that to you and you've got that even on your phone. You can say, "Hey, I've got this right here. I can either Airdrop it to you or whatever," right? That's a tool. These are all sales tools a part of one team that should be utilizing that because that's where it's really the most valuable. Oh, can I like bunny trial just a second on that? 'Cause this has been super relevant. We were talking about this yesterday, right? Like product videos. If you've got a product video and it doesn't sit next to your product on your website, what's the point? Right? It's a sales tool. That's the whole point of that. I mean, we can make something that looks flashy and nice, but you're not sending that to broadcast. That's right. Yeah. You got to think of your product pages as conversion opportunities just as you would on a landing page by having a good offer, a good content on the landing page. A product page is just the same. You need that rich content, that product video, that good description, and then people will be more opt to convert and buy the product. So, yeah, I totally agree. I think that's an area that a few people have figured it out and obviously companies have been doing this really well for a long time -- think of Zappos. I mean, every single product on Zappos's website has a product video, which leads to high conversion rates because if you can see it there, you can see it move around, you know exactly what you're getting. The only thing would be better would be feeling it yourself, and then you can make an easy decision about buying the product. What was the statistic, Brandon, that we saw earlier? 140%? 144% more likely to convert on a product page if there's a video. No, and thanks for mention that. Yeah, yeah. We're trying to get our ... We're making a lot of transitions here, and as we kind of wrap into the end of the show today I did want to talk a little bit about what we've been going through here in the month of October because you're gonna see this, it's gonna say, "Oktoberfest," and you're like, "What does that mean?" For us, obviously, it means everything it means to everybody else -- the fall is here. It's a fun time of year. It's a time when we head into the last quarter of the year and we start looking at, "Okay, what are the big, hairy, audacious goals that we have hanging out there? How are we gonna reach those goals before the end of the year?" We start looking at how to start planning for the year to come. We already are starting our strategic planning and our marketing strategy for 2018, and it's a beautiful, optimistic, hopeful time of the year, and for us, it's all of those things. In addition to that, we've been going through a sort of a bootcamp for our staff in terms of moving to an agile projection management methodology. I thought I might just ask you from your perspective on the digital production side what has that meant to you? Maybe you can describe the shift that's been happening over the last couple of weeks in moving to agile project management. The biggest benefit that it has brought so far to me is this pause in production that's been necessary to have these conversations. There's been a lot of inspiration lately, which is why I've had a few of these moments here talking where we've had the opportunity to finally stop making, say what's working, how is it working, how can it improve because we've given a huge chunk of time to do this stuff, and when you're just producing, producing, producing, producing you don't often get that time to just pause and ask the important questions and say, "How do we make this better?" When we were going into it, my thoughts are always, "Oh, man, we're just gonna pull all the creativity right out of this stuff," and it's not even true. I know that, too, I say this pretty regularly that the better you can streamline your process, the more creative a vision you can devote to the important things within that. What is the global concept and how is that doing? How does it tie into this series of videos, or this other thing? There's plenty of other creative routes that go into that, and then there's opportunity to devote more creative efforts into the unique projects that inevitably do come up 'cause not everything fits into a mold. To be able to really trim the fat on some of this stuff that we've been doing and trying to work on and duct taping along the way, that's really critical. That's really helpful because it removes a lot of the frustration for me. Yeah, so to kind of give you guys an idea of what we've been transitioning from ... So, like in the past, we had a production staff, which it includes digital production guys like these guys here, graphic designers, writers, and web development people ... They kind of operated in sort of quiet silos, right? So, just a whole bunch of tasks would be assigned to them and it would just be ... those tasks could come in whenever, right? They could just come in ... You could be working on a task and a task hits you. You stop and you're like, "Well, what do I got to do for this? How do I got to schedule that?" So, it was just like this constant flow in and out of tasks without ever stopping and engaging as a team. So, what we've done here is over the last few weeks we've made a mandatory 9 o'clock meeting where we get together, and some people call it a "scrum meeting". We're trying to avoid the "scrum" word, but it's an agile meeting where we get together as an entire team and we go over what tasks that we have remaining for the day, or what tasks that we're going to be doing for the day, and then we hold each other accountable to getting those tasks done. It's all kept on a physical board. So, if you came into the creative park today you would see a giant, over eight foot long whiteboard with three columns, a backlog, a doing, and a done. There are Post-it notes all over that board. It's a visual way of reminding us that there are only so many hours in the week. We can commit to what we can get done in the week, and then each day we check on the progress, and it's highly collaborative. So, to your point, I feel like we've increased the collaboration and increased the margin for creativity, and surprisingly we're getting the same work done. I think that was the fear going into was like, "We're gonna stop and have these meetings. We're gonna stop and talk to each other about it. How are we ever gonna get everything done?" I think we're getting more done. I really see it. I see it in our end in the work that we do because there's more conversation happening. It's helpful for the marketing managers and the sales team to see what's falling through the cracks at the moment where otherwise they have to juggle that themselves. If they can have ... Let's put it this way, how many reminders do you set for yourself on your phone, right? Like, you go to your calendar -- what's on there? It's reminders of things coming up. You don't just try to juggle it all on your own. So, collaboration can be this helpful other person that's a good reminder of what's coming up while your brain is in some other land or space at the moment. Yeah. It's definitely been painful at times, as well. I think some of us have enjoyed it. I'm sort of ... To tell you the honest truth, I'm somewhere in between. I recognize the benefits of it and I'm totally committed to it because it's a brilliant way for us to all work together as a team, so from the team aspect 100% committed, but I'll be the first to admit it's painful because I'm putting my tasks up on a board and I'm exposing myself to a certain degree. I'm saying, "Guys, this is what I'm gonna do, and if I don't do it then everybody knows I left it hanging," or whatever, right? It's kind of like being on a football team. I was thinking about this last night 'cause I was at my son's football game. It's like a football ... each player is exposed, and you all work together as a team because everybody can see that you missed the block, or everybody can see that you carried the ball down the field and scored a touchdown. It was obvious what you did and what you didn't do. I think some people do really, really well in that environment, and for some people it's kind of like, "Oh, my gosh. I enjoyed being on the bench where nobody could see what I was doing, but now I'm kind of out in the field in the game," and so I'll be the first to admit I struggled with that, but I'm starting to understand that the benefits far outweigh the knocks on it. I'm excited about where we're going. We've gotten faster, and obviously the collaboration is where it needs to be right now. Yeah. I mean, I'd say I was concerned with the same thing right off the bat when this was first announced, and it was, "Hey, we'll be coming around and sitting with you during what you do," and my thought in my head is, "Most of my work is sitting there staring at a computer screen, or in my head on a piece of paper trying to plan out and flesh out or edit out things that need to be done. I don't know what you're gonna look at." Most of my tasks are long-term tasks, so I could have five on the board for the whole week, but they're gonna take me all week to do. They're not gonna look like they move until Friday, so that was my concern, but I've yet to come up against something that made me feel that insecurity again, or amidst the process to feel that insecurity, or to confirm that. As a super creative person, I would think out of all people you would be the most resistant to process, but could you speak to what process is doing for you as a professional and how it's helping you get better at what you do? My goodness. I'm such the stereotypical artist, like super sloppy ... I say that but I'm not like sitting with paint all over me, and I don't have a super messy car or house or anything like that. Anybody's who's seen your work they don't think sloppy. No, but my organization skills are at like a 5 on a scale of 1 to 100. I call my organizational skills "Audra" 'cause that's my wife. She keeps all the organization for me. So, that's something that all this collaboration has helped me with is to figure out how to get that organization in place. And then when you look at what we're doing on the board, we're trying to task out all of our tasks to understand, "What does this involve?" Well, I operate on auto with these small tasks sometimes to where I can't even tell you what the small tasks are. I go to try to put something up and then Renia or Misti or even Brandon will come out and say, "What about this, this, this, this, and this?" I'm like, "Oh, yeah. That's what this one was. That's what I meant by Grow Live." "That's like 20 tasks." I'm like, "Oh, well, okay. I guess you're right. It is." That's helped me to dissect and understand what those processes are, but it's not just for the benefit of me, that benefits our clients, too, where we can communicate, "Okay, when we have this task set out, we know exactly what it involves. Here's what are steps are along the way," and then even sales team on understanding what it costs. What are the costs to the company? So, for me as a creative, it enables me to do my work way better. I can operate on a much higher level, and for someone that hasn't sold myself to the industries to try to become better as a creative, meaning I haven't gone to work for Hollywood, right? That's a big corporate machine that operates on this high level. I haven't gone to work for major ad agencies or anything like that. Hey, SMS is a major ad agency. Get back to me when we're doing Nike. So, I haven't done that kind of stuff, and I'm here in Brooksville, Florida, of all places. To find a way to get to that next level as a creative, I didn't know where to find the information for that and something this is doing is teaching me what the resources are to get there. It's in a way that I never would have explored. Yeah, that's a really good point. We had talked about this idea of ... as a creative person, it's important that you have the margin in your day to actually be creative and do things that lend themselves toward inspiration. That often means collaborating with teammates, talking things out, solving problems, drawing things on a whiteboard if you need to. I feel like when you're kind of just at the grind and you're just working through tasks, it doesn't lend towards having those opportunities for collaboration, and I think that what we've been doing here is creating a more fluid environment where we can go and talk to that person about what the vision is and be on the same page instead of just looking at it as a task in my project management software. So, I think, for us, what we're finding is that we work better as like an in-house team, and I know that some people are all about the remote teams and how important it is and how easy it is to work remote, and at least for us I feel like us being together in the same office and having the space to work together on client work that's what brings out the best in us. Would you agree? It seems like it has. Absolutely. Cool. So, I don't know how much ... Give me an idea of how much time we have left because I could go on forever. So, getting back to this idea of Octoberfest and what we've been doing, so not only have we implemented this agile project management style, but what are some other things that we've been doing, Lief? So, you want to talk about sort of the blocked out training times that we've had? Yeah. That's been one that we've worked on implementing for almost as long as I've been at SMS, and I'm sure any of you understand that as you try out new things and implement new ideas inevitably 95% of those fall to the habit of, "I've got to get work done. I can't do this." What we've done coming into Octoberfest has been very specific about making the decision that this is the most important thing. Nothing comes ... this comes second to nothing, and that's really hard to do especially when you go about implementing it for a month. You find all kinds of people, including, yourself, that say, "I don't have time for this," but the training really provides these incredible opportunities. I've been able to go through and do some professional LinkedIn courses on creative storytelling for businesses, and it's this just awesome way to cross train. Brandon's been learning how to do some web development as a result of it. We've got people learning SEO. You're adding to the ability of everyone to speak to each other. I use this as a reference all the time because it stands out to me, and I think rightfully so. My dad has been a mechanic for airplanes since he was in the air force, and he at one point was working with the Orlando Magic, and while he was there enrolled in the courses and got an instructor to teach him to be a pilot. Now, what that gave him was this unique experience where he could speak on the level of the pilots with the pilots about their unique problems rather than butting up heads against them constantly because you talk about marketers versus sales butting heads. Any time you have an operator and a mechanic, each one has their unique frustration. The operator comes back, "This thing still doesn't work. What are you doing with it?" And the mechanic goes, "Why are you treating it that way? You're breaking it," but when someone can live in both worlds ... your "T-shaped" people that you talk about, right? That know a little bit about quite a lot of stuff, and you're very specific in this, you can bring strength to everything. I think that's what we're doing by digging into these interests that we have, or making suggestions sometimes. You and Renia say, "You know what? I think it'd really benefit you to learn this," 'cause then we can all collaborate on something together for the best ideas. I love that point you made, and it's something that I knew, but the way you just phrased it with that story it really brings it to home, like this idea of talking to each other better. It's something that I probably didn't fully realize the benefits of it because I'm thinking, "Well, I just want you guys to be able to have a variety skillset so that you can help out each other. Everybody should be able to do a little bit of everything, and I obviously want you to get better at that vein that you are a specialist in." But, boy, and a huge area that is underrated is just the ability to talk to each other, to be able to ... for a designer to talk to a writer and vice versa, or a marketing manager to talk to a graphic designer about things. I mean, that is incredibly valuable for getting on the same page and creating really excellent work, which is of course very important to us. So, I can't express it enough how important that is, and then Renia told us today, and she actually used you as an example, that it was very important ... the idea that when we decided to do Grow Live, you had a full plate, and we said, "Well, we're gonna add Grow Live, and it's gonna be the most important thing that we do every single week. It's the number one priority. It's as important as every other client project that we have out there." So, it wasn't an option to not do it. It was painful in the very beginning, and then, like you just said when we first came on, now it's kind of on autopilot. I feel like that's what we're going through right now is we're saying, "Oh, my goodness. We got to stop and go to the Kanban board and put our Post-its up there and figure out our tasks for the week. We have to stop and dedicate some time to training," and these things are difficult to fit in at first, but then over time they become like second nature. That's really what I think we're gonna experience right now, and admittedly it's not second nature for me, so these things are ... I'm kind of feeling like, "Let's just go. Let's just do stuff." That's my personality, but it really is ... it's gonna be so valuable in the long-term, and I'm really excited about it. We are adding some fun things in as well, so I'm looking forward to ... This week we're gonna have a little party on Friday. One of the other things that we're doing ... I'm probably running out of time here, but the coolest thing that we're doing, I think, is that we're doing an optimization project, so we split the team into two teams and we gave each team one of our better clients. We basically said to them, "Come together as a team. Look at your client's websites. Look at your client's marketing strategy, and figure out an optimization project to do for your clients." So, the two teams are kind of evenly split up in terms of skillsets, and then they're going after ... they're working one hour a day for the next two weeks to complete an optimization project for our two clients and then they're gonna be presenting that optimization project as a whole set of work and they'll be competing against each other. It's really a fun ... It's a fun project, both in terms of teamwork and collaboration, thinking outside the box. The marketing managers are divided so that they're not working on their client's website, so I thought that was cool, too. Everybody's looking at it from a fresh set of eyes. At the end of this project, somebody's gonna be named the winner and get a cool prize. But on top of that, we're gonna be able to deliver hopefully two really nice optimization freebies for our clients for the month of October. I'm pumped about that. I'll tell you who's gonna be named the winner, though. Shh. Yeah, your team of course, and it's because I was actually in your strategy meeting yesterday. That's exactly what it was. That was a strategic decision. I got you off on a really good start, and now you're gonna take it all the way home to the goal line, so awesome. I can't wait to see what you guys come up with and the work that you do. So, if you're out there right now and you're a marketing manager and you're looking to maybe learn more and dive into some of the things that we've been talking about -- digital marketing, social media, inbound marketing, how to generate more traffic to your website, how to convert more of that traffic into qualified leads, how to nurture those leads and deliver them to your sales team and help your sales team close and delight those customers. If you're interested in that sort of thing, I have a great resource for you guys. It's called Industrial Marketing 101. You can go to industrialmarketing101.com and enroll in our free video course produced by yours truly, Lief Thomason here. We put this course together for you guys to teach you the basics of industrial marketing and how to implement digital strategies for your business. So, go there, check that resource out. Let us know what you think. Of course, our resource section of our website is a great place for you to go as well. Subscribe to that blog so you never miss a post. Also, I just want to mention that, of course, you can consume this. We talked about the various methods of consumption of this media, so the first is obviously right here on Facebook Live. So, come onto Facebook if you haven't done so already. Like our page and follow us. We do this show every Wednesday at 12. Second place is YouTube. Go and subscribe to our YouTube channel. You'll be able to see the higher quality version of this video, which is produced with the nice cameras and the video production team. That's a beautiful way of consuming it as well, and then we have the podcast. So, if you go to letsgrowpodcast.com you'll be able to subscribe on the podcast app of your choice. iTunesis there. If you are on iTunes like the rest of the world, please jump in there and leave us a review and tell us what you think. That'd be super valuable as well. And then finally, the last place is of course on our website in our resource section. Each week we post a blog of our show with the full transcript, links to the video and to the podcast. I hope you guys have enjoyed the show today. Thank you, Lief, for coming on and sharing your thoughts on all that's been going on with the Grow Live show. I truly appreciate you being here, man. Of course. Don't forget next week we go to 30 minute shows, so we are scaling down to the 30 minute version per our viewer's recommendations and needs. We're listening to our personas, and we found out that you guys don't take an hour lunch. You don't have time for that. You're wearing too many hats. You take a 30 minute lunch; we're gonna do a 30 minute show. We'll be there with you on your lunch break going forward. Thanks for coming and joining us on Grow Live. Have a great day, everybody.